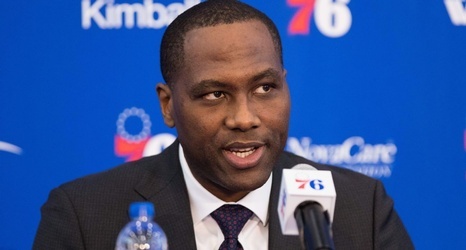 Philadelphia 76ers general manger Elton Brand called Los Angeles Lakers president of basketball operations Magic Johnson Monday afternoon to apologize for insinuating in a radio interview that the Lakers had called -- unprompted -- to ask permission for Johnson to speak with Sixers forward Ben Simmons, league sources told ESPN. In the interview with 97.5 The Fanatic on Monday morning, Brand said, "Rob Pelinka called me and said that Ben wanted to talk to Hall of Famers after the season, Magic was on the list. He asked for authorization ... I said no.